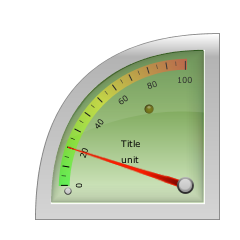 First of all i have to mention that this library was not meant to be a professional components library and should not be used on mission critical software. Means if you use the library it’s on your own risk ! 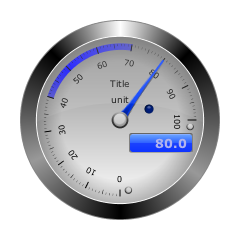 The library contains two general types of gauges, radial and linear ones and some little candy in the form of additional components like a Radar component etc. 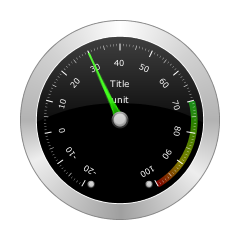 I add some properties to the gauges that hopefuly will be useful for some of you. 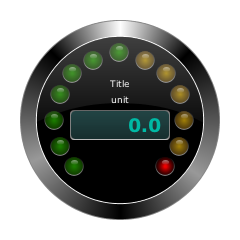 It should be possible for you to create your own components out of these library and if you’ll take a look at the source you will find components like Radial1Lcd, Radial2Lcd and Radial3Lcd where i used Netbeans matisse gui builder to create the component from the FrameCircular and DisplaySingle components. So you should be able to check read the sourcecode of these components and see how i did it (the easiest way would be to use Netbeans to check the source). 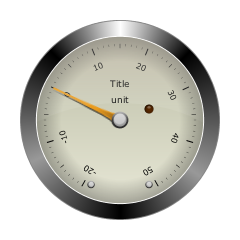 Just a simple analog clock component in the same look as the other gauges. 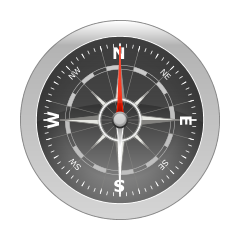 A compass component that takes values in the range from -360…360 degrees. 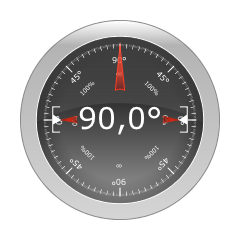 A clinometer component that takes values in the range from -360…360 degrees. This is a little bit special component that like a lot. 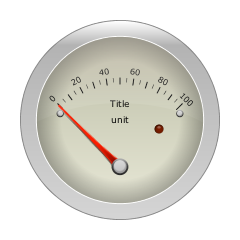 You could define a home position in the component which will then represent the center of the component. 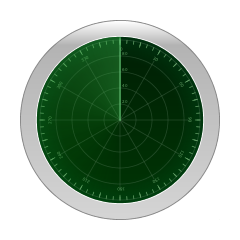 Now you could add poi objects that represent locations defined by their latitude and longitude and the component will show these poi’s on the screen if they are in the range of the radar which could be defined. There is a special blog that i created to present my Java Swing related stuff in more detail, please find it here. In that blog i will try to give you a more detailed view at the creation of these components. 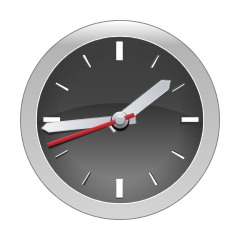 I use this Steelseries with my weatherpage. Very very goog job. Very nice to show and visible. Very flexible. But i’m not a Programmer. I search for a Solution for Trendstate in Temperature int the gauges.js. 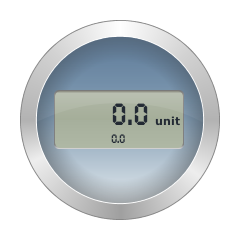 The wview used a variable calles that gives a digit -0.7 for Tempdown or 2.0 for TempUP or 0.0 for NoChange. 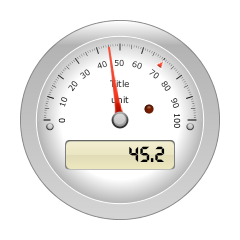 I have defined a gauge and i would add a code for the Trendstate. Maybe a People can help? 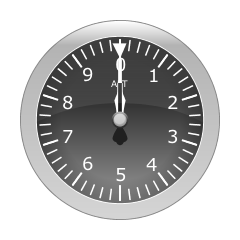 I would this also used for another Dials (). JUG Muenster Stammtisch: 18.8. im Cuba Nova!